Captured live at Tramps near the tail end of 1995, enjoy Eric Burdon's i Band" tearing it up before an appreciative New York City audience. While the former Animals frontman wasn't experiencing any career peaks during this era, he was sporting a formidable band and delivering powerful performances. Highly charged versions of songs from throughout his tenure in the Animals are explored, often in highly extended form, as are several remarkable covers. 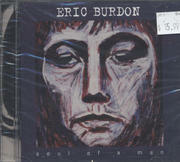 Burdon has always had a keen ear for great songs and the ability to make a wide range of covers his own. This concert is a perfect example. 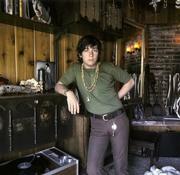 Classic early Animals material like "Don't Let Me Be Misunderstood," "When I Was Young" and of course "House Of The Rising Sun" are all represented, as are Burdon's two great original contributions to the psychedelic era, "Monterey" and "Sky Pilot." However, Burdon is most captivating when he sinks his teeth into pure blues, like his pairing up of John D. Loudermilk's "Tobacco Road" with Muddy Water's "Hoochie Coochie Man," his own homage to Elmore James "No More Elmore," and surprisingly strong covers of The Doors "Roadhouse Blues" and Randy Newman's "Bad News From Home." He and the band also do justice to Jimi Hendrix's lovely "Little Wing." Despite Burdon being well into his 50s at the time of this recording, all of this material burns with a vitality that belies his age as well as the age of most of these songs.